On the "CAL-Ampl 31732" 2,4 GHZ Down Converter", it's possible to replace the original Xtal of 8,500 MHZ with a new 8,8125 MHZ. This way we have an output of DownConverting frequency from 2,4 GHZ to 144 MHZ. My satellite station is centered around a Yaesu FT736 transceiver. 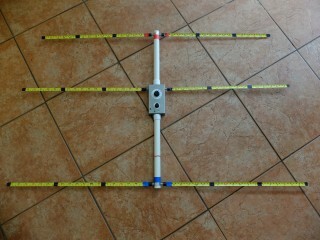 I have it equipped for 6m, 2m, 70cm and 23cm. And then the AO-40 satellite came around, with the 13cm band ending up being its only viable downlink. 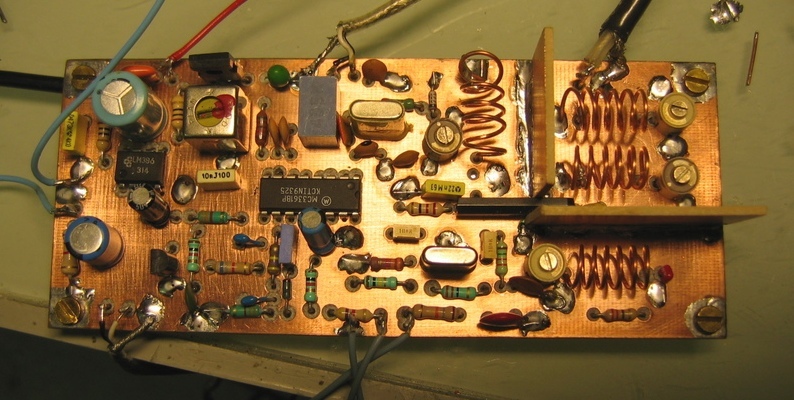 A converter of this type often has its own RF amplifier, and a relatively low frequency crystal controlled oscillator, followed by frequency multipliers. This allows high sensitivity and excellent frequency stability, but is a relatively complicated and expensive item. 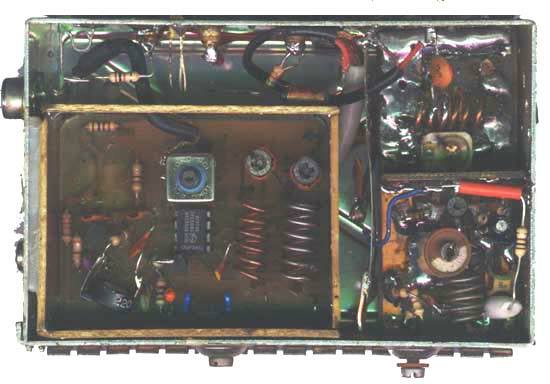 This receiver uses an IC variant of the TDA1083 which is used in a well known ARDF design by OK2BWN. * A receiver designed for receiving continuous carrier transmissions. * Signal strength detection is from a tone s-meter, not audio volume. In order to hear the 2m FM band, I made a simple radio. In these days I began to use the transistor having ft over 1GHz. They can make gain over 40dB when they are used on IF amplifier. After I had developed a couple of shortwave and VHF-FM Receivers in my sparetime, I decided to develop an allmode receiver for the 144 MHz amateur radio band as my university graduation thesis. This is a very useful and simple Signetics single chip FM receiver Integrated circuit product I've ever found I got this late 1985 in Akhihabara Electronic Market Tokyo. Many years ago I decided to build myself a Direction Finding (DF) system just after I had won my first VHF "fox-hunt" with the DF-Antenna in the Cambridge & District Amateur radio Club. Voici un récepteur FM VHF très simple réalisé à l'aide de composants récupérés sur une épave de téléphone sans fil. From the article "Junk-Box Converters for 6 and 2 Meters", by Rod Kreuter, WA3ENK, QST, January 1997, Page 33. This converter is very sensitive. I can hear the Waterford repeater, about 160KM away. Reception of weak signals is superior to most commercial 2M rigs. Looks very simple. But need bit experiance to build this receiver. It can be tuned from 140 to 150 Mhz covering the whole 2m band. This has a Super Regenerative detector. When properly tuned the receiver is very sensitive. I have started straight with the circuit out of the ARRL handbook, by Charles Kitchen N1TEV. I didn't have a 6v8 zener, or a few other part values, so I had to substitute a bit. 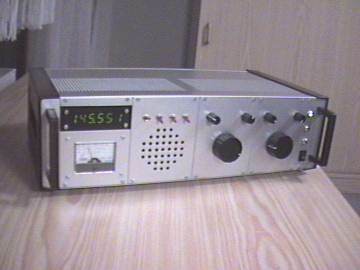 Similar to my other VHF Super-Regenerative Receiver this design borrows heavily from Charles Kitchen N1TEV's various published designs. 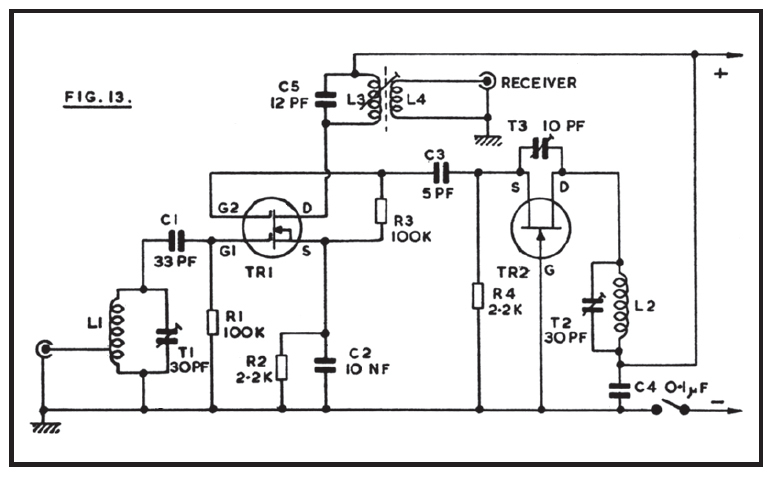 It seems that many QRP circuits are all usually transmitters but I believe that receivers are quite important too. 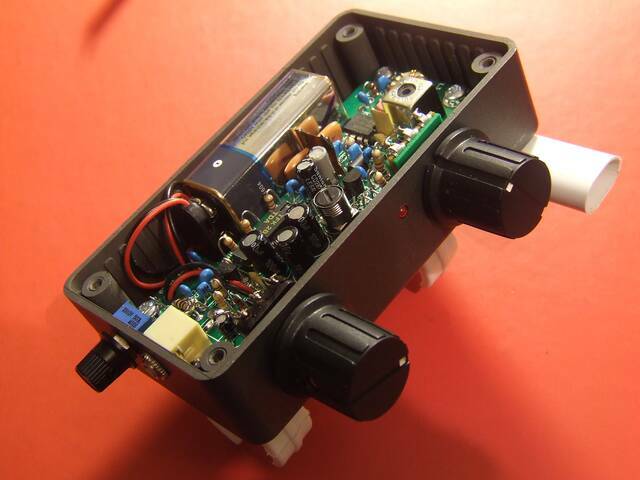 In this project you can build a SIMPLE receiver for VHF NBFM and the only active component is a diode. This is a project from the dim and distant past which has proved to be a real winner. 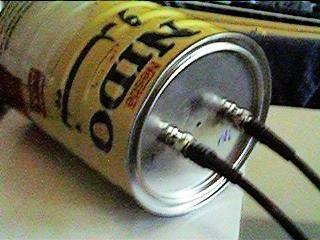 I have used it as the basis for an 8 channel proportional R/C (AM) as well as a 145MHz FM "chat box".